9.75" x 7.00" x 1.75"
NLT Holy Bible Giant Print Pink Brown Imitation Leather by New Living Trans 2 was published by Tyndale in November 2014 and is our 35744th best seller. The ISBN for NLT Holy Bible Giant Print Pink Brown Imitation Leather is 9781414398433. 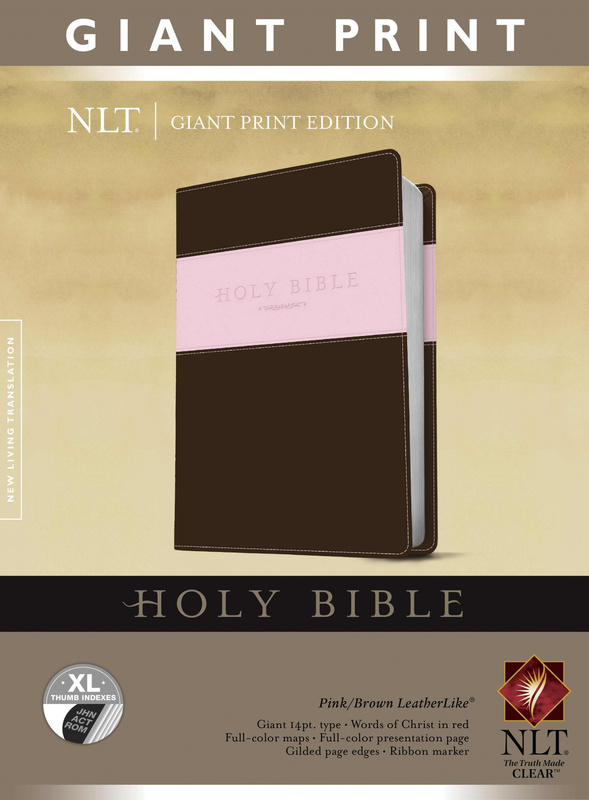 Be the first to review NLT Holy Bible Giant Print Pink Brown Imitation Leather! Got a question? No problem! Just click here to ask us about NLT Holy Bible Giant Print Pink Brown Imitation Leather. NLT Holy Bible, Giant Print Product at the price of £40.85 and what are the available colors for the cover?